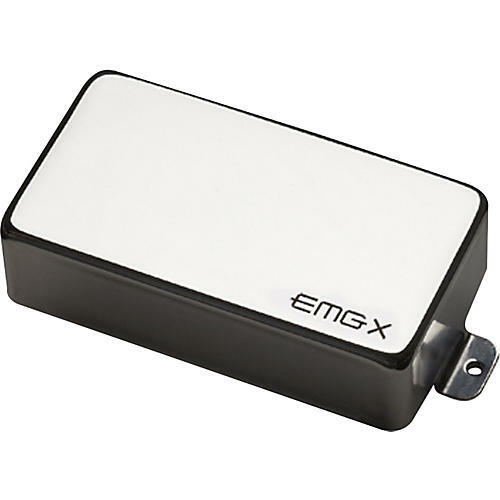 The EMG 85-X Active Humbucker Pickup features close aperture coils loaded with Alnico V magnets and powered by a newly designed preamp, the 85-X is a powerful pickup with exceptional tone and versatility across the spectrum. The Alnico magnets give a warm growl and velvet lead tones that enable you to play the deepest of blues to the most extreme metal. Try this guitar pickup in the bridge position for exceptional smoothness and soul. It pairs well with just about every other humbucker in the EMG line. Give it a try and experience why the "X" factor is exciting players all around the world.